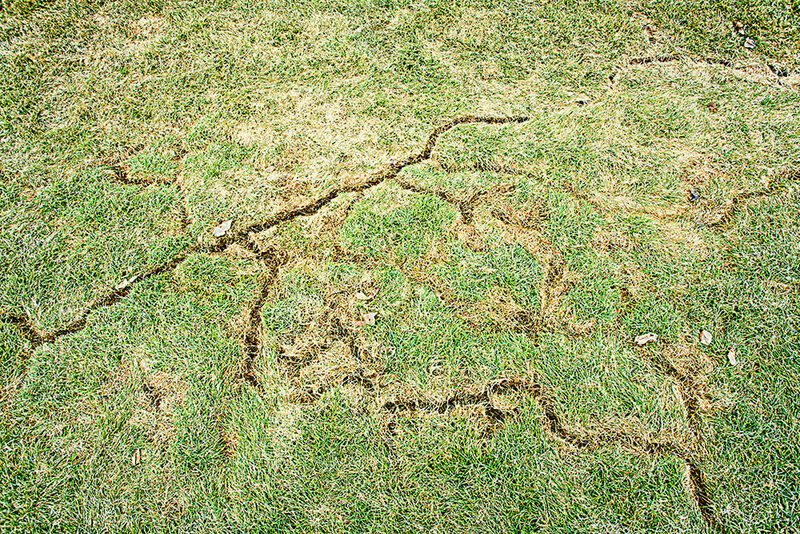 Is your lawn full of more holes than a wheel of Swiss cheese? In the spring, is your grass crisscrossed by networks of trails. Are your roots and flower bulbs being eaten away by some seemingly unseen adversary? If you answer “Yes” to any of these questions, then you can breathe a sigh of relief. You aren’t battling a gaggle of ghosts. You’re battling voles. Voles are mouse-like rodents that occur throughout most of Idaho. Commonly are called meadow or field mice, they are distinguished from true mice by their short tails (about one inch long), stocky build, and small eyes. These little yard assassins can cause problems, damaging lawns, gardens, tree plantings and other plants. Voles are small, weighing one to two ounces as adults, with a body length of three to five and one-half inches in the pine vole, to about four and one-half to seven inches in the meadow and prairie voles. They live fast, but not very long. Life expectancy in the wild often does not exceed two months, and few ever live longer than 16 months. A short life span means having lots of babies early and often to perpetuate the species. The breeding season for all voles encompasses most of the year although peaks occur in spring and fall. Prairie and meadow voles normally have 5 to 10 litters per year and average three to five young per litter. The gestation period is about 21 days. You can find voles all over the place, in many different environments. Prairie and meadow voles inhabit pastures, roadsides, alfalfa fields, and other grassy or weedy sites. Meadow voles are more common in low, moist areas or upland sites near water. Pine voles live in timbered areas, underground, or under the forest litter. They also inhabit fields surrounding timber, if enough ground cover is present. Prairie and meadow voles construct surface runways that are easy to recognize by the closely clipped vegetation within them. Small holes lead to underground runways and nesting areas. Since pine voles spend almost all their time underground, control strategies may need to be different from those for prairie or meadow voles. It may be easiest to determine if pine voles are suspect by the location of the damage (underground versus above-ground) and the lack of surface runway systems. Voles cause damage by clipping and feeding on plants we value, especially new plantations bordering forests. They eat leaves, shoots, roots, tubers, and seeds of most grasses and forbs, or broad-leaved flowering plants. Voles also damage or consume flower bulbs, garden plants and vegetables, field crops and forage crops. Voles mess up lawns by constructing runways and clipping grass very close to the roots. Those living in areas where snow covers the ground in winter will notice these runways or trails in the spring when snow melts. The presence of prairie and meadow voles in an area usually is determined by finding their characteristic surface runways. The runways consist of closely clipped vegetation, about one to two inches wide. Vole damage to woody plants usually occurs during late fall through early spring. During these months green vegetation is scarce, so voles feed on woody plants, which they prefer less. Voles tunnel through snow, and may gnaw on seedlings, trees, and shrubs up to the height that snow accumulates during winter. The presence of voles does not always result in significant property damage. However, because of their prolific and cyclic nature, high populations can build up quickly and can be cause for concern. Before undertaking control, consider the extent of the problem in relation to the cost of control. Generally, there is a direct relationship between vole populations and the expected overall level of damage. Remember that damage prevention is more beneficial than population control after the damage has occurred. Reducing the suitability of habitat for voles lessens the likelihood of future damage. 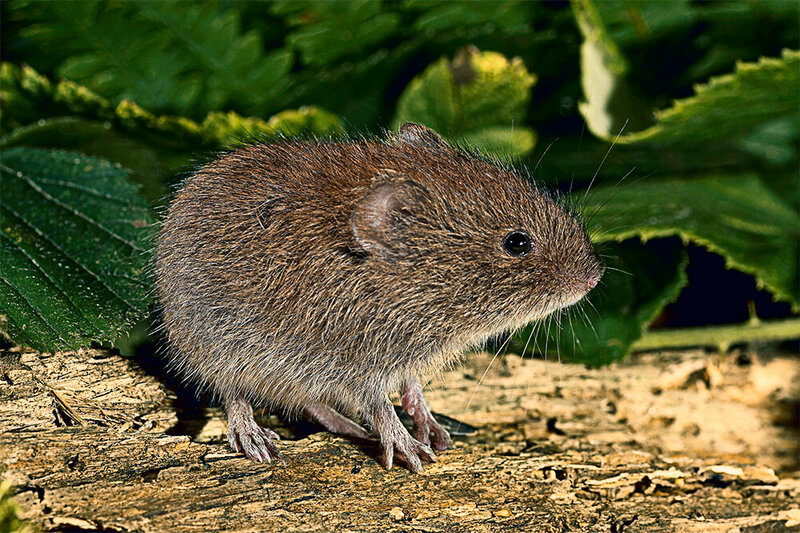 High vole populations cannot become established without food and protection from predators. Grass and weeds can be controlled around young trees and shrubs through cultivation, herbicides, and mowing. Normal cultural practices employed in establishing windbreaks, orchards, and other woody plantings often are effective in reducing vole habitat and potential population highs. When food and cover are nearby during the growing season, extensive damage still may occur to trees and shrubs where snow accumulates because snow acts as protective cover. Strategies other than habitat modification may be needed where high vole populations exist in the fall near woody plantings. Voles can be controlled easily by trapping if only a few are causing problems. Set single mouse snap traps perpendicular to vole runways, with the triggers in the runways. Or, set two traps together within the runway, with the triggers facing away from each other. Peanut butter mixed with oatmeal makes good bait to place on the trap triggers. Reduction of large vole populations is accomplished most effectively with toxic baits. Zinc phosphide is federally registered for vole or field mouse control. It usually is a restricted use pesticide that may be purchased and used by certified pesticide applicators only. Facts about voles included in this article originated in: Woodland NOTES, Vol. 11, No. 2.